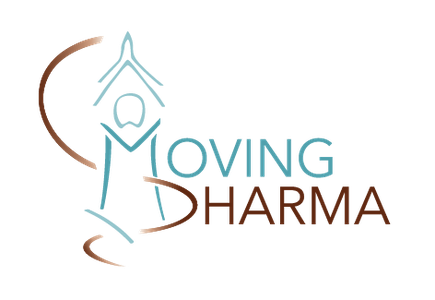 Dancing with Dharma (McFarland 2016) features 27 authors from 6 countries writing about the intersections of movement and dance with Buddhist practice. The anthology features sections on Movement, Dance, Performance, Ritual, and Theory, ending with Guided Practices, which leads readers in practicing several of the modalities themselves. Contributors range from professional choreographers to Buddhist masters to dance/movement therapists. 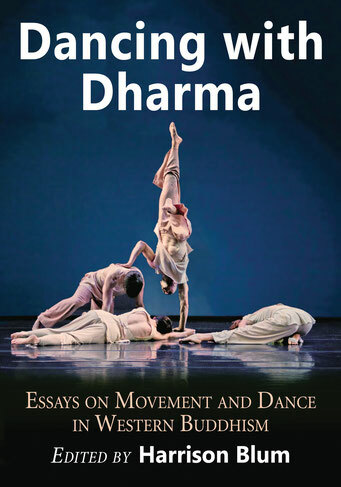 "Offers rare insights into the increasingly relevant intersection of dharma, dance, and community... useful for enthusiasts, scholars, and fans alike." "Marries moving and Buddhism in a wholly original and compelling way." Similarly, movement and dance training foster continuous mindfulness of the body. Artists in these fields spend decades fine-tuning their awareness and control of subtle sensations and movements. In the Satipatthana Sutta, the Buddha’s pivotal teaching on the Four Foundations of Mindfulness, the First Foundation focuses on the body. Practitioners are guided to cultivate mindfulness of their breathing, postures, and movements. When “going forward and returning…looking ahead and looking away…when flexing and extending…when eating, drinking…when walking, standing, sitting, falling asleep, waking up, talking, and keeping silent” the practitioner is to maintain continuous mindfulness. This list encourages embodied awareness in everything we do, in all our moments. Movement and dance artists practice, create, and perform in this realm. They are masters of the First Foundation. Amidst this inherent synergy between Buddhist and dance practice, the climates of Buddhism and dance in the West are aligning in new ways that offer unprecedented opportunities for cross-pollination. Most Western Buddhists are lay people. As such, there are now multiple generations of Western Buddhists who have deep Buddhist practices alongside other life pursuits. There are practitioners sitting intensive Buddhist retreats and meditating daily as they work as choreographers, dance teachers, theater directors, and bodyworkers. There are also Buddhist lamas, nuns, teachers, chaplains, and professors integrating movement forms into their Dharma teaching. While Buddhism has always focused on the body, embodied practice modalities are now increasing and spreading in novel ways. Walking meditation is no longer the only moving alternative to seated meditation. ...The rise of Western Buddhism, sacred dance, and Dance/Movement Therapy, along with the mindfulness meditation boom, offer a climate of unprecedented opportunity in the West for Buddhism to inform movement and dance practices, and for Buddhist practice to be shaped by movement and dance artists. As this volume demonstrates, this interweaving is already well underway. Buddhists are now dancing the Dharma in many shapes and forms.